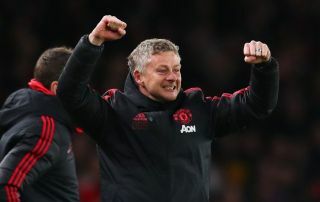 Manchester United legend Gary Neville believes Ole Gunnar Solskjaer still needs plenty of money to spend in the transfer market to get the club back to where they want to be. Speaking on Sky Sports, and quoted by the Daily Mail, the former Red Devils defender and pundit made it clear he believed that Solskjaer still needed more top quality players to improve the club’s fortunes. The Norwegian tactician has done great work at Old Trafford so far since coming in as interim manager, and now looks the best bet to land the job permanently. It remains to be seen if that definitely will happen, but Neville seems prepared to see his old team-mate get the role, as long as he’s also backed in the transfer market. The former England international says United still need as many as five players that could cost as much as £250million in order to get back to challenging for the title instead of scrapping for fourth spot with the likes of Arsenal. ‘Ole’s doing an incredible job, but he needs to set the foundations and the rules with the guy he’s speaking to for his job now,’ Neville said. ‘He needs £200m-£250m. They still need three defenders, they still need a midfielder, they still need a striker. ‘They need five players – that’s going to cost £250m for the quality Manchester United needs. Should Solskjaer get the Man Utd job permanently? Yes, he's perfect for United! United fans would probably agree with this, with many current players over-performing under Solskjaer in a run that quite likely won’t last. The good feeling of the new manager coming in will surely soon phase out, and only better quality in key positions can truly see the club move forward.